How many years does it take to grow into someone? 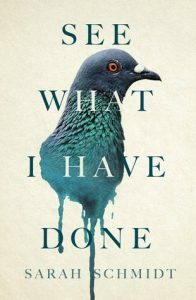 Sarah Schmidt’s See What I Have Done is a strange and sometimes engaging reimagining of the famous Lizzie Borden murders. Told from alternating perspectives over the course of a few days, we are given insight into the minds of Lizzie and those involved in one way or another with the murders of Lizzie’s father Andrew and stepmother Abby. By the end, I enjoyed this book, but I felt the book suffered from two things: target market and a slow exposition/initial pacing. I understand that publishers want to reach a wide range of audiences with certain titles, but I felt like this one was YA as I was reading it because of the writing style. It took me about a good third or more of the book to feel really engaged with the characters and the story, and then it seemed to pick up and then I couldn’t put it down. If you aren’t much of a YA reader, this one might feel a bit simplistic in the way in which it’s told. However, in some ways, I think that starkly simple language is what makes Lizzie’s story effective, because if you’re familiar with Lizzie Borden, you already know what’s coming, and by the time it does, it’s one of those chest-grabbing moments. See What I Have Done explores in greater depth the relationships between Lizzie and the rest of her immediate household. At thirty-something, she still lives at home, unmarried, and behaves as if she is still a teenager with temper outbursts and juvenile outlooks on the world (which is where my “this feels like YA” comes from). It’s apparent from the very beginning that something is off about Lizzie’s mental state, and this disconnect between reality and what goes on in her mind adds to the Lizzie’s relationship with her father is odd and unsettling. At times, her attention-seeking behavior appears as if she’s a love-sick girl starving for the object of her affection’s attentions, and other times it feels as if her behavior is that of a child wanting her father to pay attention to her. Lizzie’s behavior toward and eventual murder of her father and stepmother stems from her deeply rooted jealousy toward her stepmother. As it happens in fairy tales, the stepmother “replaces” the dead mother, and to the main character, the stepmother is therefore “bad/evil,” and for Lizzie, she is the displaced princess. In a series of twists and turns, Sarah Schmidt delivers a chilling examination of what goes through the minds of those closely involved with Lizzie Borden and her forty whacks. While it takes a bit to warm up to it, See What I Have Done is a solid debut. I won a copy of this book through Goodreads giveaways for review! All opinions are my own. brilliantly imagines answers to these questions, sweeping us back to a world where humans and magical beings co-exist as they had for centuries. introduces us to unforgettable characters who grapple with quests for power, human frailty, and the longing for knowledge that has been made taboo. Mark Tompkins has crafted a remarkable tale—a feat of world-building that poses astonishing and resonant answers to epic questions. 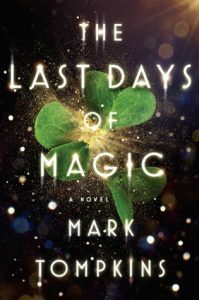 Mark Tompkins’ The Last Days of Magic is about the Celts and the old days of magic before it supposedly disappeared from the world. Aisling and Anya, twin girls, were born to unite the Celts with the faeries of the Middle Kingdom. And while the clans of Ireland fight against each other, England and Rome want to drive the magic out of the Emerald Isle. War looms on the horizon, and political tensions twist and stretch among allies and enemies. I really liked the concept of this book. I expected a story full of history of the Emerald Isle, the warring clans of Ireland, the threats of invasion from Rome and England, and I feel like I got that, for the most part. Sometimes I felt like the history was explained and told to me rather than shown throughout the narrative, and sometimes I felt like it helped me understand the story a little bit better. However, the thing that bothered me the most about this story was actually the prologue and the epilogue. In the prologue and epilogue, we find out that a young woman named Sara Hill has some family secrets that she is just discovering from her grandmother, and while en route to escaping with some documents that important people have been after for centuries, something happens to her (I don’t want to spoil it too much). I felt like none of that truly tied in with the story at hand until the very end when I realized that most of this book is just a prelude to a potential, as-of-yet unannounced sequel. I feel like this story could have easily stood on its own without the prologue and epilogue or could have incorporated more of Sara’s story through alternating chapters of the past and Sara’s present. 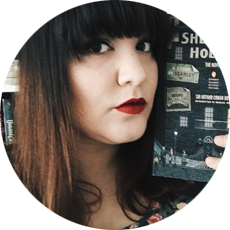 I did enjoy reading it, and I’ve always loved stories set in old Ireland, old England, and old Scotland because I find those histories so amazing and complex, so I was very pleased to see such a well-researched concept explored in this book. I think it’ll be great for anyone who has either a passing interest in the magical history of Ireland and anyone who enjoys historical fiction infused with magic. The mythology is entwined with history so well that this story about the last days of magic is very believable. Thank you to Viking and Goodreads for an advance copy of this book! All opinions are my own.